Maine State Route 703 is an unsigned state highway in South Portland. It is an approach to the Maine Turnpike. This runs from U.S. Rt. 1/ME St Rt 9 to Interstate 95/Maine Turnpike. The length of ME St Rt 703 is just over two miles long. ME St Rt 703 passes through the following town in Cumberland County. 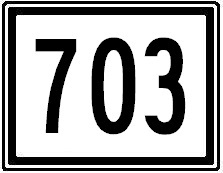 ME St Rt 703 is not multi-plexed in Cumberland County. ME St Rt 703 intersects the following highways in Cumberland County. Interstate 95 (Maine Turnpike), at South Portland. Maine State Route 701, at South Portland. Maine State Route 9, at South Portland. 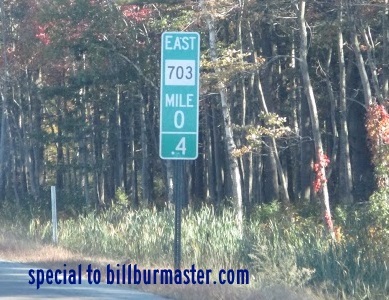 A mile marker ME St Rt 703.